Brandy graduated from Western Career College in Pleasant Hill, California receiving her AS degree in Veterinary Sciences. She has been an employee at the Medical Center for Birds in Oakley, California for twelve years and is currently the head technician. Brandy has lectured at NAVC, WWVC and AAV as well as assisted with lab coordination at AAV for nine years. 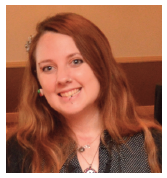 She also has completed the Living and Learning with Animals course for professionals in applied behavior analysis. 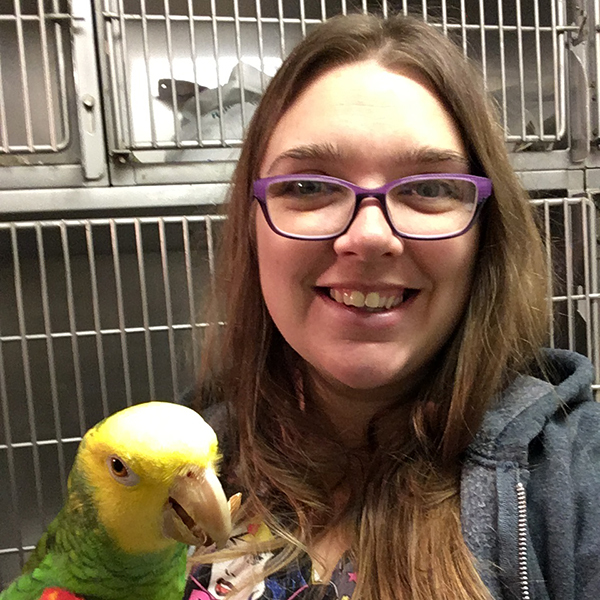 Though all aspects of avian medicine are exciting to her, she has great interests in avian hematology as well as clinical pathology and anesthesia. Jill is a Registered Veterinary Technician, board-certified Veterinary Technician Specialist in Exotic Companion Animal Medicine and Registered Laboratory Animal Technologist. Originally from Guelph, Ontario, Canada, Jill received her veterinary technician education at Seneca College. Following graduation, Jill worked in a private emergency clinic and research facility until her love of exotics brought her to the United States where she began her exotics career at Kansas State University VMTH, then later moved to Oklahoma State University. 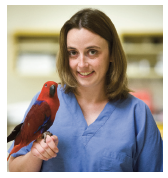 Jill has been part of the Avian, Exotic & Zoo Animal Medicine Service at Oklahoma State University CVHS since 2008. Jill has a passion for exotic pet and zoological medicine with a special interest in emergency and critical care of these special species. She has taught many courses, lectured at national and international conferences, and has authored many veterinary articles. In addition to lecturing, Jill has had the opportunity to be involved in many published research projects. 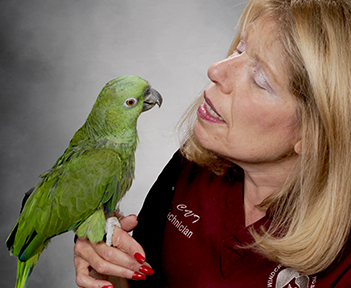 She is currently the Technician Committee Chair for the Association of Avian Veterinarians, and President of the Academy of Veterinary Technicians in Clinical Practice. Melody is a Registered Veterinary Technician at the Medical Center for Birds in Oakley, California, for the past 8 years. In 2008, she graduated from the Western Career College Veterinary Technician Program with an AA in Veterinary Sciences. This year is Melody’s 7th year attending and presenting at AAV, where she has found her passion for presenting about low-stress handling, enrichment, and behavioral science. Melody has also been a part of the lab setup crew at AAV since her first year attending and is a member of the Technician Committee. Melody has been a student of the LLA Professionals course, Learning and Living with Animals, taught by Susan G. Friedman, PhD, and is a graduate of the Karen Pryor Academy. In addition to being a technician, Melody is the lead trainer at Busy Beaks Academy, which works closely with the Medical Center for Birds to achieve the goal of physical and behavioral health for its patients. The goals of the AAV Technician Committee are to promote and support avian veterinary technicians through outreach, education, and stewardship in avian care and conservation. In order to achieve these goals we work on development of opportunities, interest and increasing engagement in our organization and profession. We are excited to give you a sneak peek at what we are working on in 2019. If you are a technician member, we invite you to join us as we work on achieving these goals. Contact us to let us know how you’d like to get involved!